In a saucepan combine milk and butter, allow to melt and whisk to combine. Set aside. In a mixer (or large bowl) combine flour, brown sugar, yeast, lemon zest, sultanas and raisins, cinnamon, nutmeg, salt, baking powder and bicarbonate of soda. Mix well. 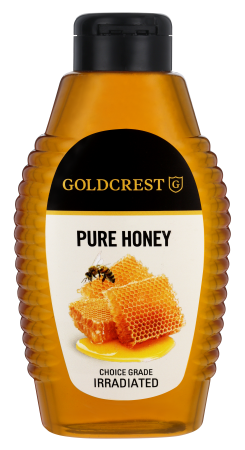 To the dry ingredients add honey, vanilla, eggs and the melted butter and milk. Mix until combined. Place dough into an oiled bowl and allow to proof in a warm area for one hour. Cut proofed dough into 12 equal parts and arrange on a lined baking sheet. Let proof for an additional 30 min. In the meantime combine the flour and the water for the flour paste. Place into piping bag and pipe crosses on the proofed buns. Bake for 15 to 20 min, or until buns are cooked through. 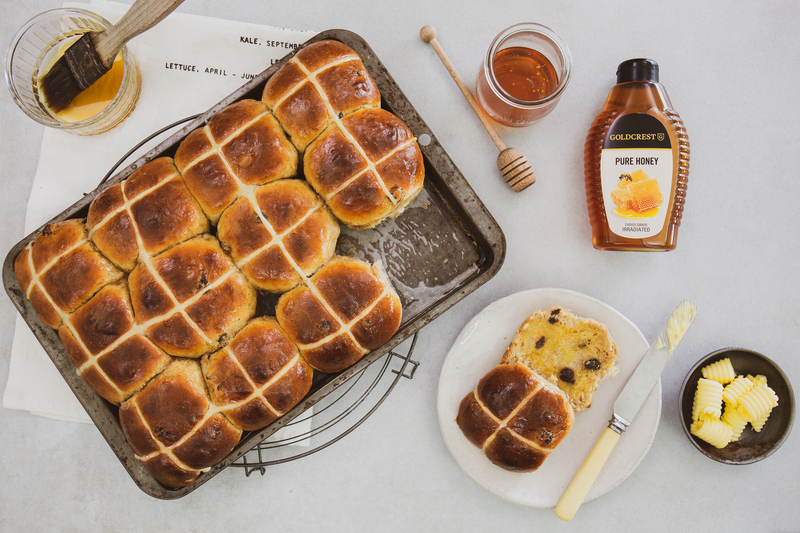 While buns are baking combine the honey and boiling water to create a glaze. Once buns are out the oven brush liberally with glaze.